Named after the twenty-one mile long island located 564 miles due east of North Carolina, The Bermuda Room boasts tropical colors to emulate the feeling of the popular & charming destination. 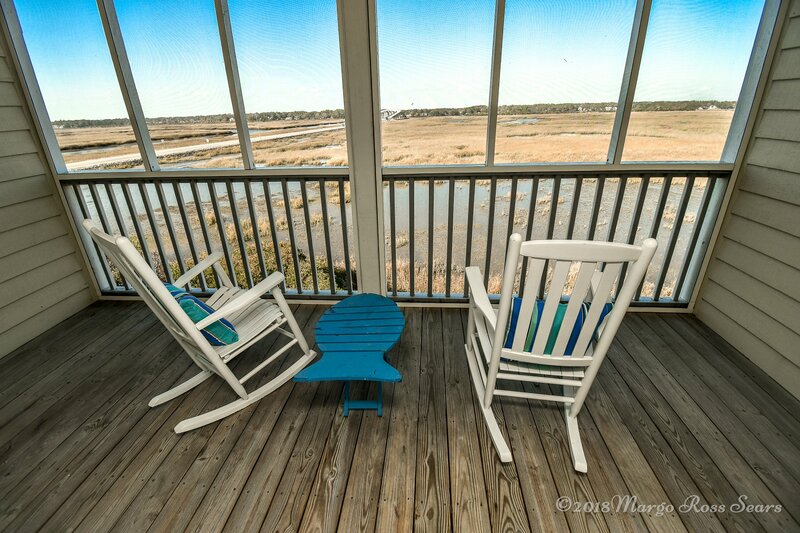 Located on the 2nd level, the views from the private screened porch are fantastic. Many decorative items displayed in The Bermuda Room were originally purchased in Bermuda by the owner on one of his visits to the island that he is especially fond of. 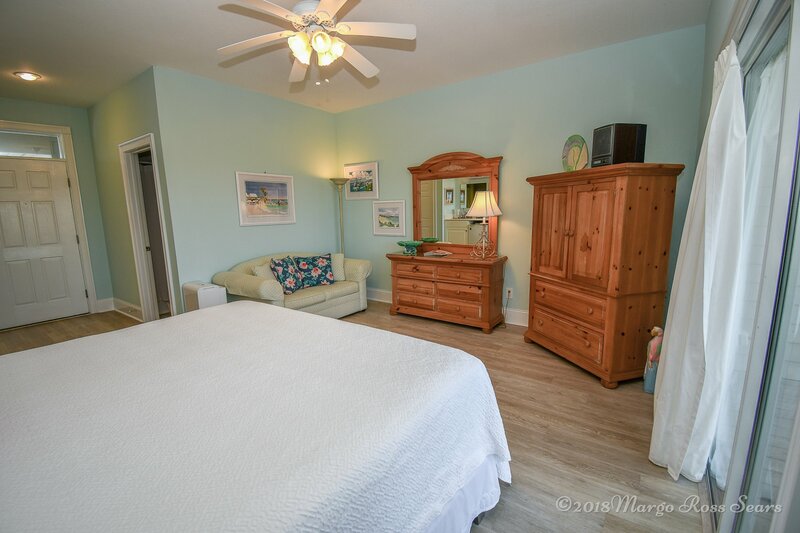 The luxurious king sized bed is draped in colors of green, pink & white which mimics the floral beauty of Bermuda. 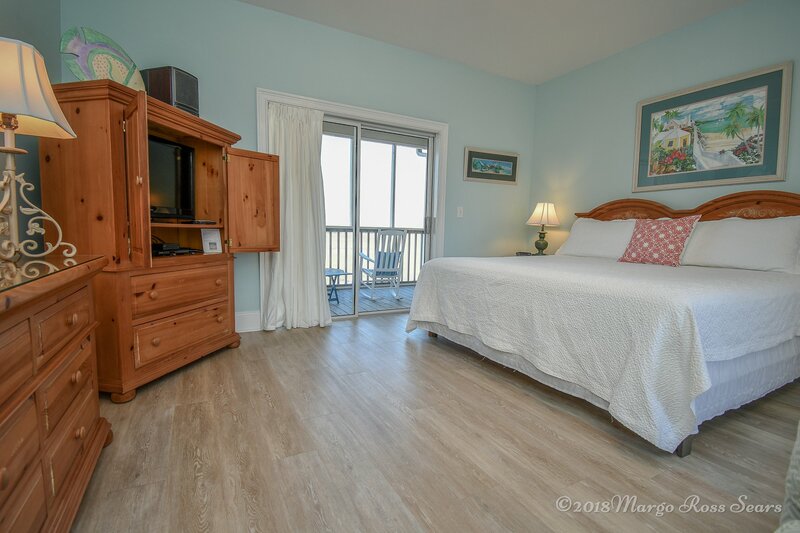 Enjoy The Bermuda Room anytime and get the feeling of warm breezes and crystal blue water. 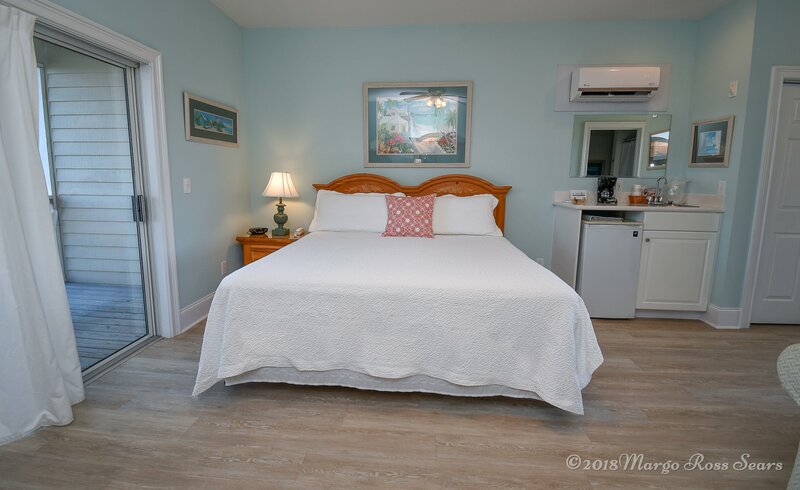 Includes: a king bed, a private screened porch with 2 rocking chairs overlooking the salt marsh and Intracoastal Waterway, a private bath, color cable TV, love seat, small refrigerator, and a wet bar.